Product prices and availability are accurate as of 2019-04-15 22:36:07 UTC and are subject to change. Any price and availability information displayed on http://www.amazon.com/ at the time of purchase will apply to the purchase of this product. 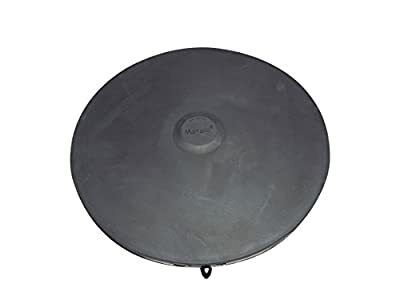 Matala Air Discs are 12 inches in diameter and are designed for the pond and wastewater treatment industry to very high standards. The air pore size in the rubber membrane is designed to give a medium size bubble which will not put any significant back pressure on the system. In fact this special air disc only adds less than 6 inches of water depth back pressure. The 3/4" male thread makes it easy to attach to your feed line. Capable of handling air flows of 25 lpm to 160 lpm. The disc is very low maintenance and in some cases NO maintenance. Simply wash the disc with clean water and bleach if it ever needs cleaning. We have some of these air discs in systems now for over 3 years without trouble or maintenance. 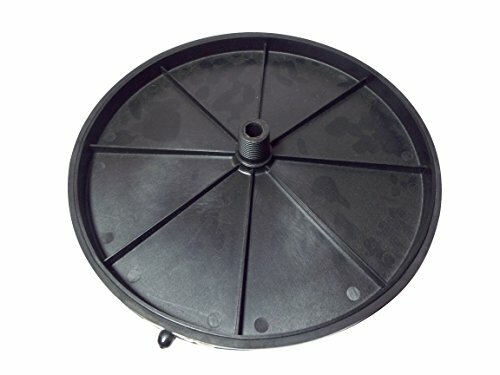 This Matala 12" diameter membrane diffuser (AD12) is a great alternative to airstones in many aeration applications. It contains hundreds of "I" slots that open as air pressure builds inside of the diffuser- providing uniform bubble distribution. Capable of handling air flows of 25 lpm to 160 lpm. Diffuser has a 3/4" male thread inlet. The disc is very low maintenance, wash with water and bleach as needed.